Wandering across the country in an RV might seems like a dream for many. And thanks to affordable RV rentals, that dream is well within reach for most of us, but only as a holiday, a short respite from the daily grind of domestic life if you will. But some are not satisfied with these short stints. They get hooked to the free nomadic lifestyle, bitten by wanderlust. Others are retirees who need a change of pace from the sedate life stuck at home. Whatever your incentive for thinking about it, full time RVing is a significant life decision. Staying in a motorhome for a few days or weeks might be loads of fun. But living in one indefinitely is sadly not a never-ending holiday. There will be a lot of initial teething troubles. And hurdles that prop up every single day as part and parcel of the RV lifestyle. Dealing with traffic, finding good campsites with all the hookups, access to supplies, searching for parking spots, these are just a few of the daily challenges. So you need to be careful when picking your future home for this kind of life. Pick the right type of RV, and the initial troubles will be that much easier to deal with. But if you end up with a vehicle that does not meet your needs or expectations, that full-time RV life might get cut short all too early! What are the Best Campers to Live in Full Time? RV as you probably know already stands for Recreational Vehicle. That is a delightfully vague term that applies to at least four different categories of vehicles, some with subcategories. Campers, trailers, motorhomes, these are some of the popular types of RVs out there. They all have their strengths and weaknesses. In ideal conditions, any of these vehicles could work as a full-time abode for the RV enthusiast. The trick is figuring out if a particular RV is ideal for your lifestyle. You see, there is no one right way to do full-time RVing, just as there is no single house that suits everybody. Some folks love living in a small cabin in the woods, others like a basic apartment or a suburban home; while a few cannot imagine life outside a large villa or bungalow. You can compare different sized RVs to these different types of houses. These are the giants of the RV world. You can easily distinguish a motorhome from other types of RVs: they look like massive tour buses and do not require a car or truck for towing. If you want the absolute maximum living space in your RV home, a motorhome is usually your best bet. There is a fair bit of choice within this category for the first time RV buyer. The three different classes are pretty well differentiated, and often have significant differences when it comes to space, features, and of course, costs as well. So we will have to look closely at each different motorhome class. You might have seen these on TV, used by traveling rock stars or other celebrities. These massive rigs are often bigger than a Greyhound bus and often look very much like one, only sleeker and shinier. They have the maximum amount of space and luxuries inside. Some exceed 40-45 feet in length. If you want to speak to the driver from the far rear end of one these, you might have to use the intercom or a cell phone! Class A motorhomes are perfect if you have kids with you. Well-off retirees looking for the most accessible and comfortable RV will find plenty of joy in these motorhomes. They have maximum headspace and storage space as well, among all RVs. On the road, motorhomes are generally more stable than towed vehicles. They are less affected by crosswinds and have powerful engines that allow you to effortlessly munch miles, even in uphill terrain. As these are classy and premium vehicles, expect the maintenance and servicing costs to be on the higher end of the spectrum. Though they perform like a dream on the freeways and expressways, their size can be a challenge on the smaller roads and in the cities. Driving such a large vehicle will take some time to get used to. And while RV generally does not require special licenses in the US, some states do have special requirements for motorhomes that exceed 26,000lbs and 45 feet in weight and length. Finding the right kind of space on a campsite can be slightly challenging, and these RVs may not be the best option if you want to go off the grid completely. But if you have the cash to spare and love some luxury, class A is the perfect option for you. No, we have not forgotten about Class B Motorhomes. Based on the labeling, Class B should come after class A. But regarding space, features, and cost, a Class C motorhome is superior to Class B. These are slightly smaller than Class A RVs. While the latter is built on a large bus chassis, Class C often use a large van or pickup chassis. Class Cs are instantly recognizable on the road, due to a part of the body and roof extending above the driver’s cabin. Class C’s lack the style and premium look of a Class A motorhome. These are significantly cheaper RVs and are often the best option for full-time RV’ers on a budget. They are also the bread and butter of RV rental businesses: a majority of their fleets are usually made up of Class C motorhomes. Though not the best looking RV out there, Class C often has space comparable to a Class A motorhome. The furnishings may not be of premium quality, but you can still make a comfortable home in one of these. That extra space above the driver cabin is usually used for a sleeping bunk. Small families with kids can generally find enough room in a Class C RV. Regarding on-road performance and challenges, Class C and Class A motorhomes share many similarities. In short, if you want maximum space on a budget, a Class C motorhome is a very viable option for full-time RVing. These are the smallest among all motorhomes. Purpose built Class B RVs often use a small van chassis. Many RVs that can be called Class B are often regular vans like a Volkswagen or Dodge vans converted into camper vans. These are best suited for solo travelers, and in extreme cases, couples who don’t mind extremely cramped living quarters. In fact, Class B can be considered as a daily driving vehicle with some living space at the back. 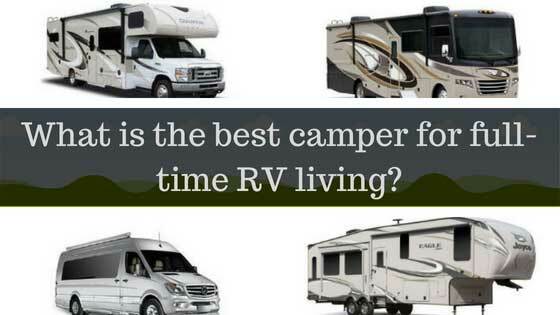 There is a fair bit of overlap between the different categories of RVs. The larger trailers and fifth wheels will have considerably more space than any Class B motorhome. The most you can realistically expect from a Class B is a bed, sink, small fridge, and stovetop. 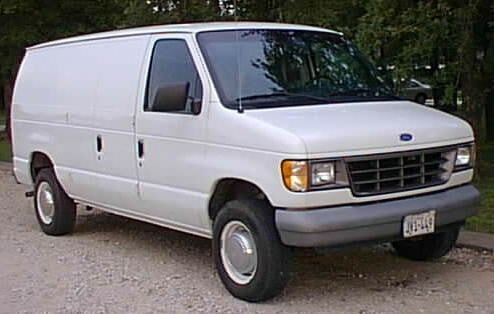 One significant advantage these vans offer is the lower fuel and maintenance costs. And of course, they are the cheapest motorhome option out there. They are also very easy to drive into towns and cities. In fact, with Class A and C motorhomes, you will usually need to bring along an extra vehicle, called a “toad.” This is a car or pickup that you can use for shopping runs, and other general errands where driving a massive RV is highly impractical. When using a Class B van, you can skip this extra vehicle altogether, bringing down the costs further. You could bring along a bike if you want to save on gas. 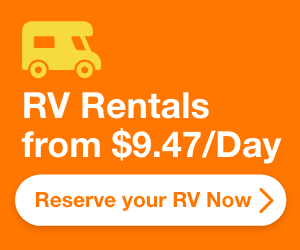 This category includes all towed RVs. Trailers do not have any engines and need a car or truck for mobility. Regarding size and cost, trailers also run the full gamut, comparable to Class A, B, and C motorhomes. Though they cannot realistically compete with Class A motorhomes when it comes to space and luxury, the biggest trailers are similar to or better than Class C RVs. At the more affordable compact end of the spectrum, there are several options among the different trailer categories. These are the most versatile towed RVs out there. They come in many sizes, ranging from the big Class C-sized options to the more compact van-sized options. They are versatile because you can use any car or pickup to lug them around the country. These are box-shaped units that attach to a car chassis using a travel trailer hitch. The living space inside larger units is adequate for an entire family of four. Regarding headroom and storage space, travel trailers are inferior to Class C RVs and larger 5th wheel trailers. Since you can unhitch the towing car at any moment, these trailers are more versatile than motorhomes. You don’t need to bring an extra vehicle for grocery runs and other errands. The main disadvantage of these trailers relates to how they perform on the road. Due to the design of the hitching system, there is considerable sway when you tow a travel trailer on the road. You can buy special stabilizers to minimize this dangerous sway, but it cannot be eliminated completely. Jackknifing is a serious hazard that can happen when driving a travel trailer. Due to their inherent on-road instability, in many places, it is illegal to have passengers inside the trailer when you are towing the vehicle. Parking and backing in are both harder to master when driving travel trailers. On the whole, travel trailers are quite affordable and available in a wide range of sizes and specifications. These are highly viable options for full-time RVing. You will need to spend some time behind the wheel to get familiar with the driving mechanics. Some towed trailers use a different kind of coupling system called the 5th wheel. A travel trailer that uses a 5th wheel hitch is called a fifth wheel trailer. It has a distinctly different design at the front end which makes it instantly recognizable. A regular travel trailer hitch is attached to the rear fender region of your car. But a fifth wheel trailer hitch receiver has to be installed on the bed of a pickup truck. This kind of mechanism has several advantages as well as disadvantages. For starters, it offers more stability than a regular trailer. The front end of the 5th wheel trailer is designed to nestle snugly onto the bed of a pickup. So there is next to zero sway while driving on the freeways. Thanks to this extra stability, 5th wheel trailers can afford to be longer, sometimes even longer than the average Class A motorhome. So if you want maximum space for full time RVing in a trailer, a fifth wheel is the ideal choice. Fifth wheels often have more headspace than other trailers and campers. They have a taller design, due to the raised front end. A minor disadvantage is that you will need a pickup truck to tow these trailers. Regular cars and SUVs are not compatible. And you will lose out on storage space on the pickup as well. Other than that, a fifth wheel is a very practical choice for full-time RVers. Teardrops get their name from that highly distinctive shape of their bodies. These are ultra compact travel trailers, with less space and fewer amenities. You will not find a shower or toilet on these trailers. In many ways, they are comparable to a small Class B camper van. They are very easy to tow around, and you can easily fit them even into cramped spots in the woods and campgrounds. For full-time RVing, a teardrop will only suit an individual. A “popup” is a very flexible trailer which often comes in a small size format. The unique feature of these trailers is their ability to “expand,” much like a tent. So when you park these out on a campground, you will get an expanded living space. For full-time RVing, popups are not really practical, mainly due to the poor insulation when expanded. Also, the storage space available when on the road is quite low. If you combine one with a van, you could get by. But still, it is sub-optimal in comparison to other RV options out there. If you want to get into RVing, you have several options. One popular option is to buy prefabricated RVs from established brands like Airstream. Or you can take your own Van or Minibus to a company that specializes in refitting and transforming them into RVs. Or if you have any talents or experience in refitting and modifying vehicles, you could make a DIY project of it all! Any van chassis will do for such an endeavor. Popular options include the Chevy 2500, Ford E-250, or the venerable Volkswagen Bus. If you take them to a professional company, you will have to pay anywhere from $10,000 to $100,000, depending on the features you want to add. At the high end of the spectrum, you can expect features identical to a Class B camper van. But if you are on a tight budget, you can add some basic living quarters, similar to a teardrop trailer. Some common additions include popup roofs, bunks, propane stoves, heaters, a small fridge, and electricity and water hookups. On the whole, though, smaller vans are suitable for individuals who don't need much space. If you can retrofit a larger bus/school bus, you should be able to get more space for couples or even larger groups. There is no cut and dried rules when it comes to the best campers to live in full time. In campsites, you will find many people happily living the good life in a compact Class B motorhome, or even a homemade camper van. You will also find many retirees and seniors in high-end Class A RVs, along with families using everything in between. But we must say that the mainstream choices are usually Class A or C motorhomes, and the bigger trailers. The smaller RV options simply don’t have enough room even for couples, especially if you are planning to live in one for the long haul. Ultimately, it is all down to the individual/group and their lifestyle preferences. The budget also plays a big part, and will often have the final say in determining the RV you buy in the end. Do your research, discuss with your fellow travelers, and if possible, try a few test runs in some rentals before putting down the cash for your RV. Stay safe and have fun!